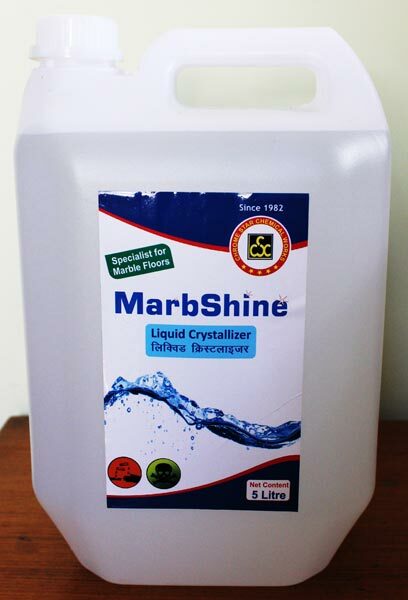 We offer marbshine liquid crystallizer. We tested this product in comparison with world’s best crystallizers and found 20% more efficient. It has higher shining strength. Other products leave a hazy mark on floor, which results in a poor surface. Developed through highly technical expertise team, our product leaves a shiny crystal clear floor and no white hazy marks. Looking for Marbshine Liquid Crystallizer?